A new work by Liu Xiaodong will be created for The Sleeper Awakes, a group exhibition opening 9 March at White Rabbit Gallery in Sydney, Australia. The title of the exhibition comes from the HG Wells novel The Sleeper Awakes, in which the hero emerges from a 200-year coma into a dystopian world whose rulers use poverty and propaganda to keep an enslaved populace under control. In the 1940s, Mao and his revolutionaries also set out to awaken the Chinese 'sleeping lion' and build a powerful new nation. At White Rabbit Gallery, some of China’s most original contemporary artists will look at Mao's awakening over seventy years later, and share their reflections on a society where unprecedented freedom, ambition and optimism coexist uneasily with anxiety, isolation and ubiquitous state surveillance. 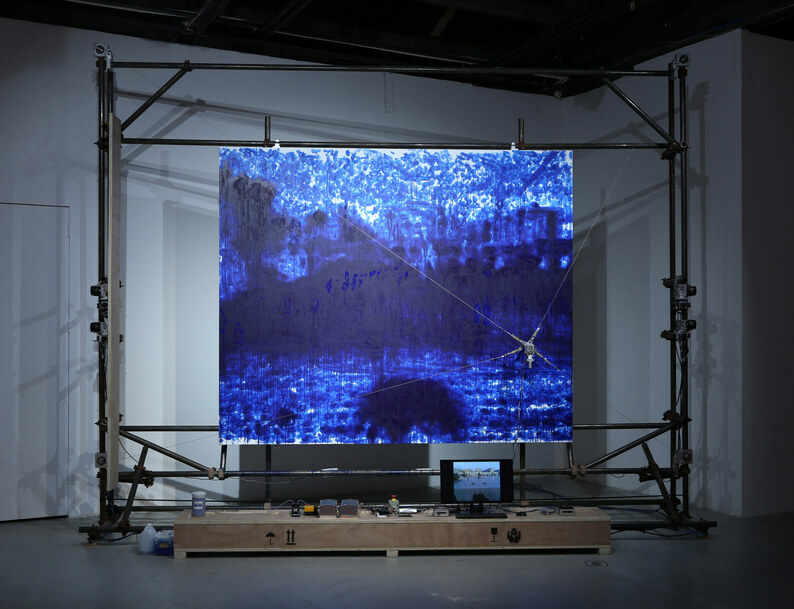 Over the course of the exhibition, Liu Xiaodong's painting robot will create a landscape painting, titled 'Weight of Anxiety', from a digital video feed. Read more about the exhibition on White Rabbit Gallery's website. Image: Liu Xiaodong, 'Weight of Insomnia (Jincheng)', 2016. Acrylic on canvas. 250 x 300 cm (98 3/8 x 118 1/8 in). © Liu Xiaodong.